The solidstate, 8.75" 5.11 Light For Life PC3.300 is ruggedly built, buoyant and water-resistant. Its high-strength polymer casing is abrasion, crack and bend-resistant. The PC3.300 will run for 45 mins in standard mode, plus an additional 15 minutes in reserve mode. 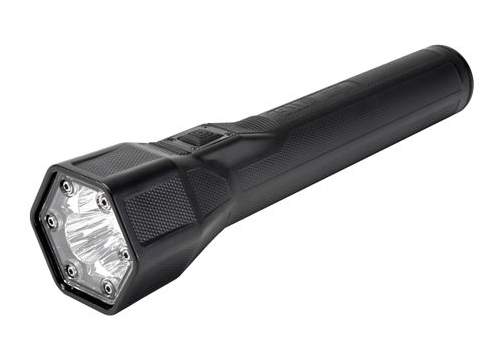 The 5.11 Light For Life PC3.300 offers three power modes: bright (200 peak lumens), standard (70 lumens) and tactical strobe. The 50,000-hour LEDs never have to be replaced. Tailcap and top buttons perform the same functionality to reinforce muscle memory. Includes a patent-pending Auto-Align 12V DC charging base for the car. Optional accessories are also available. Size 8.75" and 10 oz.